Following the release of Jordan Peele's new horror US Neha gives us her review as well as discussing the genius of the directors work with Caris. The girls also review TRIPLE FRONTIER and discuss the upcoming releases in the film world, especially ENDGAME and how the aftermath of Captain Marvel has prepared them. We feel like we’ve been waiting for this film forever and finally it’s here. Neha and Caris share their reviews both spoiler free and spoiler filled (so you can switch off when you need to) about the latest additional to the Marvel franchise CAPTAIN MARVEL. They also discuss the latest releases including Triple Frontier, What Men Want and Ben Is Back. 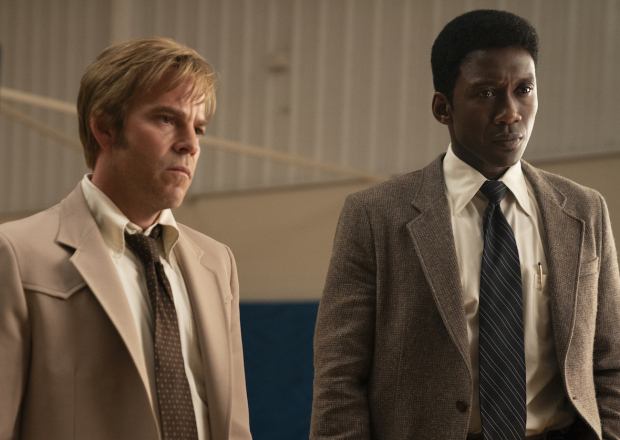 With the third season of the crime drama coming to an end, Neha and Caris review True Detective and how Mahershala Ali and Stephen Dorff exceeded expectations. They also review Destroyer, Serenity, The Assassination of Gianni Versace and discuss some of the worst snubs at the Oscars in recent years. With female characters growing in television, Caris and Neha take a look at the changes of representation of the gender in the past ten years. With Valentines Day just behind us, the girls talk about their favourite romantic comedies and how remakes aren’t always the answer for the Horror genre (especially Scream). They also review IF BEALE STREET COULD TALK, INSTANT FAMILY, HAPPY DEATH DAY 2U and the Netflix drama DIRTY JOHN. This week Caris is joined by Neha Vyas as they review the latest films including Mary Queen of Scots, Glass, Vice and A Dog’s Way Home. They also discuss the wild documentary Fyre: The Greatest Party That Never Happened and share their hesitations on The Favourite. The theme of this week is stalking in TV and film, inspired by the recent success of Netflix’ You starring Penn Badgley, they talk about what the show taught us about oversharing on social media and whether the character of Joe is a red flag for new relationships in the social media age. Along with True Detective thoughts, Lady Gaga and Bradley Cooper’s weird friendship and Zac Efron as Ted Bundy. Follow the girls on Twitter via @carisrianne and @nehaav and don’t forget @riannepictures the home of Not Having It All. Episode 24 - And the award goes to.....who cares? Caris is joined by artist Courtney Cheshire this week as they discuss the awards season and how it’s changed from celebrating achievement to publicity stunts and stroking egos. They also talk about awards in other aspects of life, such as employee of the month and high school awards. 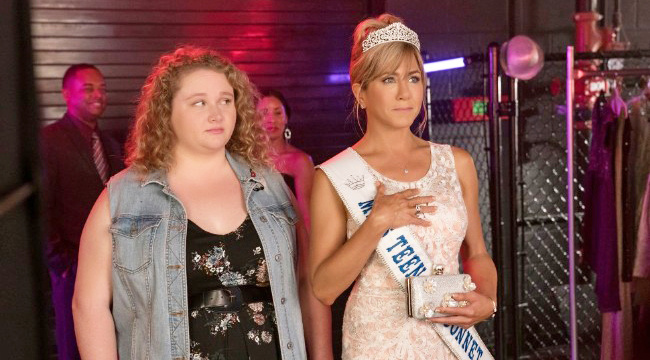 Reviews this week include Netflix’ Dumplin’, Aquaman, Mary Queen Of Scots, Mary Poppins Returns and The Favourite. The girls also share why they don’t want another Batman film, their dislike of one of Hollywood’s new male stars and how they feel about the new season of True Detective! Caris and Eleanor Brown welcome in the new year with a discussion on new years resolutions. Whether they're any good and if people should bother still setting them? They talk about the top ten most popular resolutions and how to make changes in your life more successful but setting realistic goals and easing the pressure on yourself. There's also a bonus moment where Caris almost destroys her own kitchen. Happy new year! It’s the end of the year which means Caris is reflecting back on the past year of film releases along with Eleanor Ring. Covering every month and choosing their favourites such as Molly’s Game, Paddington 2, Black Panther, A Fantastic Woman, Isle of Dogs, You Were Never Really Here, Avengers Infinity War, Tully, Oceans 8, Hereditary, Searching, A Star Is Born and Bohemian Rhapsody. And then there were the disappointing ones such as Winchester, A Wrinkle In Time, The Nun and Bad Times At The El Royale. Caris confesses her unexpected love for Unfriended: Dark Web and Eleanor fights the fight for Suspiria. Captain America’s missing beard is brought up and they both question why Halloween went so wrong. Caris is joined by Sophie Duncan creative director at Rianne Pictures, they discuss the top 10 films at the UK box office including CREED II. As well as Kevin Hart’s short lived Oscar hosting, Thank U Jeff Goldblum, Caris’ failed attempt at making friends with her neighbours and the tea vs dinner debate. Then they’re onto Christmas! Talking about Christmas traditions such as advent calendars, giving out cards and christingles…have you heard of them? They discuss the top ten films in the box office including Overlord, Nutcracker And The Four Realms, A Star Is Born and Bohemian Rhapsody. Lauren admits that maybe she doesn’t love Harry Potter as much as everyone else. They talk about how amazing the success of Creed has been, Caris’ love for Michael B Jordan, the Netflix release CAM. After an impromptu hiatus due to moving home, Caris is BACK to talk films, life and being in a creative world. She is joined by Actress/Singer Erica Martin as they recap all of the October releases they missed out on and talk about what it’s like to move far away from ‘home’ and start new. While our host moves home, the podcast will be off air until early November. But don’t worry, we’ll be back soon catching up on all the film releases that we have missed! On the verge of giving up on film making, Caris discusses perseverance with artist Courtney Cheshire. They also discuss THE NUN, BLACKKKLANSMAN and recent entertainment news including Cardi B vs Nicki Minaj. Putting together a film premiere for your first feature film is not easy! Caris talks us through her experience and how sometimes in life, you might not have things go as expected but it works itself out in the end (kind-of). This week Caris is joined by Rachel Horner where they discuss one of their least favourite aspects of working within the entertainment industry…NETWORKING! Hear some of the weirdest encounters they’ve had at the events, plus the latest film reviews, upcoming releases and new film news. In this weeks mini-episode, with exam results being a big issue this month, Caris Rianne shares one of her hardest moments where she failed her A levels and didn't get into university to study film. She shares her advice on how to handle life when it throws you a curveball and how she persevered to be the director she is today. "I'm not some Warner Brothers director, but I'm waking up everyday and that's something I didn't think that I would be doing because of some exam results eight years ago. So hang in there." Caris is joined by actress, writer, singer and all round talented Canadian - Erica Martin. The pair discuss working in the film industry and some of the unfortunately experiences they have come across in regards to people just being straight up RUDE. From being told you can’t be a director, to having your film be made fun of, the girls get real about what makes them angry and how it’s spurred them on to continue working despite the challenges. There’s also film reviews including ANT MAN AND THE WASP and why some people complained about a poster being “anti Ant Man” because the Wasp was just a little bit bigger….yes seriously. In this weeks episode Caris is joined for the first time by actress Lydia Lakemoore. The girls discuss the UK Top 10 Box Office, new releases, changes they've made to their appearance to work in the industry, film school stories and last but not least DOGS! With over 70% of dog owners stating that their pets help them with their mental health, Caris and Lydia explore the benefits of our four legged friends and their personal experiences with how their dogs have been there for them. Episode 11: Do we need another Godzilla? In this weeks solo episode, Caris reviews the latest trailers for AQUAMAN, GODZILLA 2 and GLASS. She also discusses the top ten films out at the cinema right now, including her thoughts on THE FIRST PURGE, HOTEL ARTEMIS, INCREDIBLES 2 and the mixed reviews on MAMMA MIA: HERE WE GO AGAIN. Along with your questions and feedback on last weeks episode!